I cannot get enough of Mexican food. I could seriously live off Nachos and Fajitas smothered in sour cream and cheese and a margarita on the side wouldn’t hurt either. 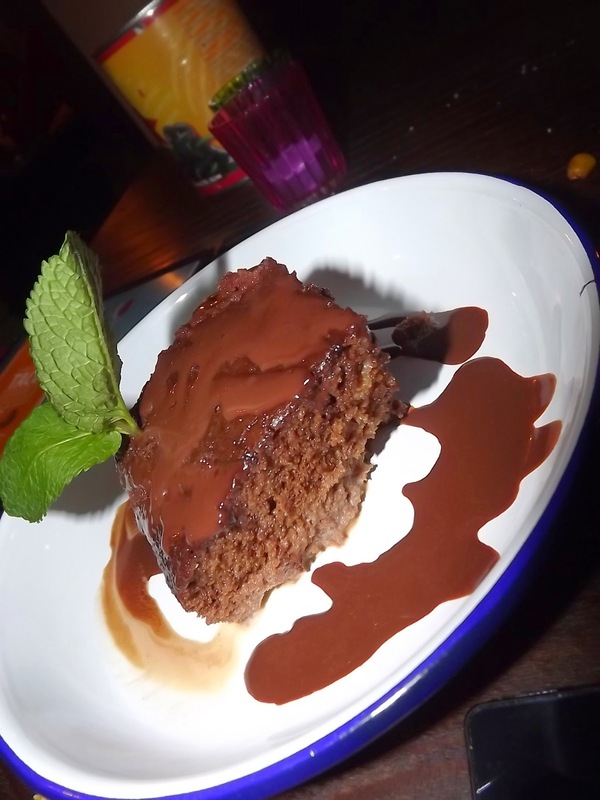 Well, I was lucky enough to be treated to a delicious three course tasting session (with unlimited margaritas) at my new favourite Mexican, Benito’s Hat. Recently Karl and I paid a visit to their new Leadenhall branch and even gave away box tickets at the O2 to be there (see told you I like Mexican food). We began the night with a delicious margarita – I LOVE tequila – before starting on the sharing boards. Our starter sharing board consisted of nachos and a 4 tortillas covered in pulled pork or spicy chicken. Some of these tortillas we actually made ourselves thanks to the help of the owner Felipe! Here’s a very embarrassing photo of me attempting to make a tortilla. Although favourite dish on the platter had to be the chocolate and biscuit based mole – surprisingly a very delicious savoury dish which mixed well with black beans and chorizo, cheese and sour cream. After another margarita or two we finished the evening with Tres Leches Cake. Consisting of 3 milks the cake was extremely moist but to the right level. I couldn’t help but gooble it up before Karl had the chance to. 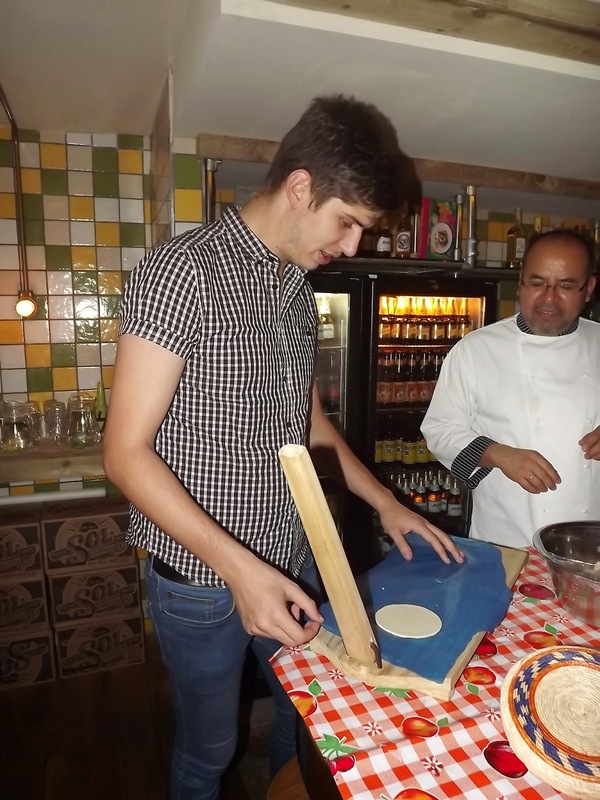 We had a fantastic evening learning about Felipe’s Mexican background, his authentic Mexican recipes, the history of Benito’s Hat and their staff trip to Felipe’s hometown – very jealous!! The salt around the rim of the glass (as seen below) is from Mexico and is mined in Peubla by Felipe’s mother! And was it worth missing Jack White at the O2? Yes it was! Thank you Benito’s Hat for a wonderful evening. Would I return? Hell yes! I recently spotted another Benito’s Hat branch off of Oxford Street which will be a perfect stop off during the January sales for my burrito fix. If you want to try an utterly delicious zingy margartia at Benito’s Hat well you can and for just £1. See here.